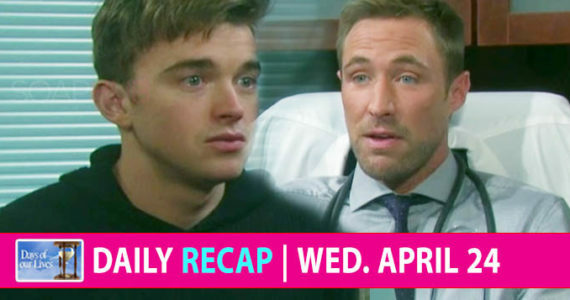 Days of our Lives spoilers (DAYS) teasers for October 15-26 promise grief, regret, and loads of drama for Salemites. Get ready for an action-packed two weeks! Expect to watch Sami make a startling discovery while Nicole makes a big decision about her future. Days of our Lives airs weekdays on NBC. Check your local listing for air times. Mimi pleads with Chloe to convince Lucas to reconsider his custody battle for Baby Bonnie. Eric, Nicole, and Sami realize they are on the same track and agree to team up. Kristen is furious when Brady admits he’s been playing her. Gabi advises Chad to have Abigail committed. Abigail confides to JJ she thinks Gabi set her up. Ciara has an unbidden romantic dream of Ben. Claire suggests to Ben they join forces to break up Tripp and Ciara. Gabi takes her plan to another level. Jennifer warns Stefan to stay away from Abigail. Hope shares with Rafe her theory about the planted evidence. Ciara and Tripp are thrown when they come upon Claire and Ben conspiring. Gabi tries to make Chad believe that Abigail has turned violent. Sami and Eric break into Xander’s warehouse.